One crypto-concierge service pulled in $250 million of sales despite Bitcoin price and the cryptocurrency market shrinking by over 80 percent last year. Bitcoin Burning a Whole in Your Digital Wallet? The perennial problem of the crypto-investor is one of too much money, too little time. ‘When Lambo?’ isn’t down to price, rather finding a chance (and energy) to get down to the showroom. At least, it must be for some, because even during the year that was 2018, one crypto-concierge service pulled in $250 million in sales. They wanted to spend and enjoy their wealth… [but] were not able to easily exchange the cryptocurrency into cash, due to restrictions and limitations on exchanges etc. The White Company, which accepts Bitcoin, Bitcoin Cash, Bitcoin SV, Ethereum, Stellar, and its own White Standard stablecoins, worked with Apis Capital Management to provide liquidity, to enable them to accept crypto, whilst paying vendors with fiat. She claims to have no shortage of crypto-wealthy wanting her services, suggesting that people buy ‘luxury’ items as a status symbol. Lamborghini have appeal as both… the best automobiles [and] as a recognizable brand that is associated with success. Art is another luxury that gives buyers a sense of status but can also be an attractive investment. In meeting the demands of her status-obsessed clients, her company managed to transact to the tune of $250 million last year. Then there is Barry Silbert’s brother Alan. BitPremier, his peer-to-peer service, connecting crypto-hungry owners of luxury goods with luxury-hungry crypto-owners sadly bowed out of the market in September 2017 just as the bitcoin price 00 was going through the roof. Other luxury marketplaces have sprung up, however. Besides the White Company, there is Crypto Concinnity, which specializes in purchasing and delivering luxury goods and services using the cryptocurrency of choice. Then there is Aditus.net that claims to be the world’s first concierge service for “crypto-affluents” that offers everything from art and real estate to insurance and even citizenship of other countries. 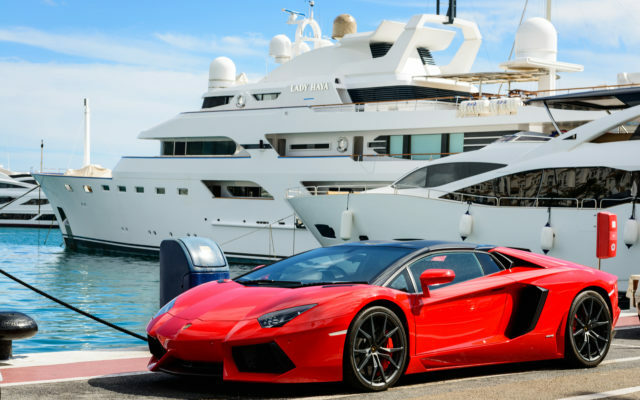 While I cannot vouch for these sites since I’m a few satoshis short of a Lambo, being ‘crypto wealthy’ does seem to have its perks. Will crypto concierge services become more popular in the next few years? Share your thought below! The post What Bear Market? Crypto-Concierge Service Did $250M in Sales Last Year appeared first on Bitcoinist.com.